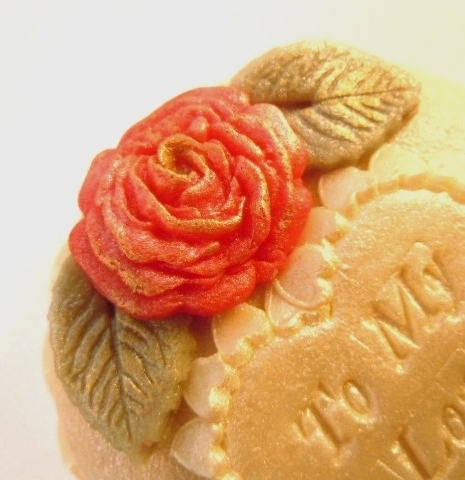 "My love is like a red, red rose..." and this gift says those famous lines in the sweetest way. 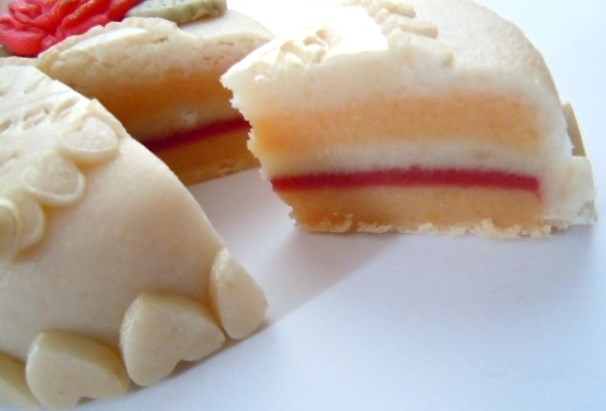 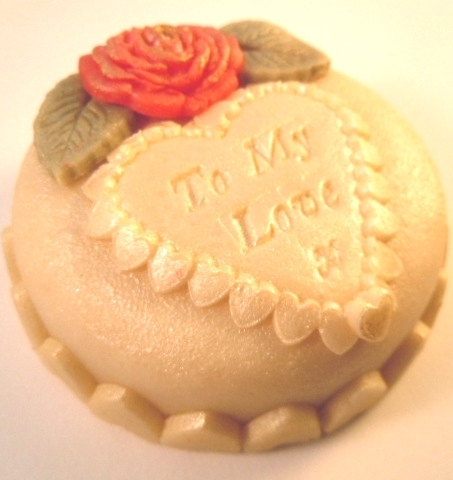 Made from 100% plain almond marzipan with layers of "sponge and cream" inside. Mini Cakes are approximately 8 cms in diameter and are presented in a gift box.